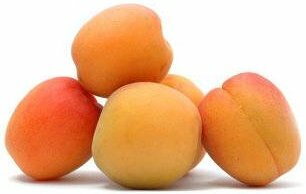 Although the apricot’s botanical name, Prunus armeniaca, implies that it is a native of Armenia, it is generally accepted that its country of origin is China. Like the peach, the apricot was supposedly spread westwards along the great trade route of the Silk Road to the Middle East. In the process it would most certainly have gained a foothold in Armenia and both here and in many regions of Central Asia it has long since been indigenous. 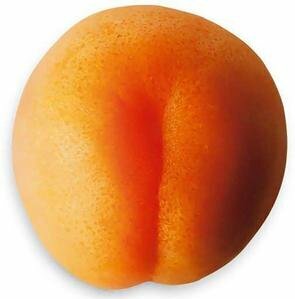 Ancient records from China indicate the apricot’s cultivation there almost to 3000BC. Today it still grows in the wild in a great arc from Northern China and parts of Mongolia across the high table-lands to the Caucasus. The original distribution pattern gradually spread to Greece (Alexander the Great is reputed to have introduced it) and thence to Rome, but its introduction to Britain does not appear, as with some other hardy fruits, to be credited to the Romans. Any early records of its cultivation in Britain are sparse and it was Henry VIII’s enthusiasm for fruit that gave sudden impetus to the apricot’s popularity. It began to be grown in the gardens of noblemen, although like the peach and nectarine it was recognised at an early stage that the protection and warmth of a suitable wall was essential for success in the British climate. By 1700 a fair selection of cultivars was available and still more appeared during the 18th century, among them ‘Breda’ which is still occasionally listed today. More importantly, ‘Temple’, subsequently to be known as ‘Moorpark’ and first listed under this name in 1788, was also in circulation and this cultivar has remained predominent in Britain ever since. 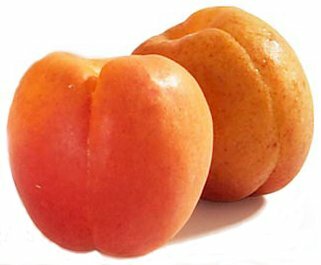 The hybrid peach-apricot is very similar to it. By 1831 the Horticultural Society’s collection of some 70 or more cultivars showed many of these to be synonymous and comparatively few to be distinct. In cold-temperate England a new development was now progressing in parts of Oxfordshire and Northamptonshire, where landowners began encouraging their employees to plant apricot trees against their cottage walls, often against the chimney breast to gain added warmth. Such plantings were a notable feature in such villages as Aynho in Northamptonshire and remnants of the development remain today. Meanwhile, the cultivation of apricots in Britain reached its peak with the fruit’s popularity in the walled gardens of the great estates. However, even on walls, the uncertain climate caused somewhat irregular cropping and only in the more southern counties could moderately consistent results be achieved. A limited use was made of cultivation under glass. With the passing of the great estates the growing of apricots declined dramatically and very few are grown in Britain today due to the uncertainty of cropping. By contrast, as emigrants distributed the fruit to many parts fof the world during the 18th and 19th centuries it was found to flourish in suitable areas, notably of the US, South Africa, Australia and New Zealand. There are now considerable commercial plantations of apricots, especially in Southern Europe, California and South Australia. However, particular cultivars seem often to thrive only in the location of their origin or in areas with climates approximating very closely to that location. Two severe limiting factors are the very early flowering (late winter-early spring) and the tendency for buds to drop following summer drought. Thus not only is a kindly early spring essential but also irrigation (if insufficient rain) in summer, yet with good sunshine and warmth to ripen high quality fruit for dessert, canning, drying and jamming. In Britain it is rare for an apricot tree to bear other than an occasional crop without wall protection and even then success may not be assured unless a form of curtain can be devised (as was the case in the old estate gardens). The curtain is pulled across in late afternoon to trap the sun’s warmth and is drawn back in the morning once temperatures have risen sufficiently. Should a tree be tried in open ground then a site as frost-free yet as sheltered as possible is essential. Late flowering following prolonged cold conditions is the circumstance most likely to allow a successful set and subsequent crop, but only in southern counties of Britain. Good, moisture-retentive soils are preferred to drier, poorer sands and gravels and badly drained or highly calcareous conditions are quite unsuitable. A pH of 6.5-7.5 is ideal. Soils with any degree of salt content (e.g. parts of Australia and California) must be avoided. For wall-trained trees account must be taken of possible poor soil and/or drought conditions occasioned by wall footings, and turves, with small amounts of well-rotted manure if possible, should be dug in before planting. Rootstocks can be seedling apricot or peach, or clonal plum stocks that are known to be compatible. 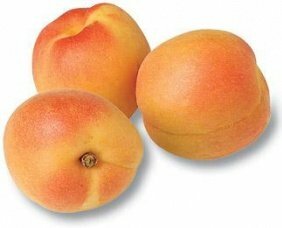 Under Australian conditions peach stock will tolerate wetter conditions and will produce a smaller tree than apricot, with plum stocks inducing greatest vigour. In Britain plum rootstocks are the most popular, particularly the moderately vigorous ‘St Julien A’. The comparatively new and more dwarfing ’Pixy’ is also a possiblity but needs double-working with ‘St Julien’, since it is incompatible with apricot. More rarely ‘Common Mussel’ (moderately vigorous) and ‘Brompton’ (vigorous) are used. Choice of cultivar will often be dictated by local conditions, particularly in Australia, South Africa and the US, and expert advice should be sought. In Britain ‘Early Moorpark’, ‘Blenheim’, ‘Moorpark’ and ‘Hemskirk’ are favoured, also ‘Alfred’ and ‘Farmingdale’ (raised in the US) which can be more reliable in cropping. The first three of these also feature among recommendations for Australia and the US. Fruit size and shape vary considerably, but round to round-flattened is the most common. Skin and flesh colour also vary with cultivar, as does the degree of suturing and whether clingstone of free-stone. ‘Moorpark’, introduced around 1760, remains the most highly regarded cultivar. ‘Blenheim’ (as ‘Royal’) is the most important commercial US cultivar. Further US-grown cultivars include ‘Aprigold’, first genetic dwarf apricot, good in containers; ‘Autumn Royal’, very late maturing; ‘Chinese Golden’, late, ‘Early Golden’, ‘Goldcot’, suited to cold, humid areas; ‘Harcot’, very early; ‘Harogem’, good keeper; ‘Moongold’; ‘Perfection’, ‘Sungold’, ‘Tilton’, favoured for drying; ‘Wenatchee’. These are all orange-fleshed; white-fleshed cultivars, with high chilling requirements, include ‘Afghanistan’ and ‘Moniqui’. ‘Moorpark’ is one of the best flavoured, but can be less suitable commercially because of its erratic ripening. Apricots are self-fertile but only if satisfactory pollination has taken place. In the absence of bees and other pollinating insects, flowers should be gently dusted with a fine brush or cotton wool around midday when conditions are dry and warm. Planting needs to be done in late autumn-winter, well before trees commence their early growth. An Australian recommendation is to avoid soils where tomatoes or capsicums have been cropped, as this favours a build-up of the fungal disease Verticillium which can be serious for apricots. Firm planting is essential and some support is preferable for the first two years. Watering should be done where necessary and a mulch given to conserve soil moisture. Tree types used are the bush or vase for open ground cultivation and fan for wall-trained trees. The former should be planted at 5-7m apart (possibly rather less if ‘Pixy’ rootstock is used) and similarly for fans for which a wall with a minimum height of 2.5m would be essential since growth is vigorous. Initial training of the bush should follow that for plum. Pruning will be necessary rather earlier because move into growth quickly once conditions are favourable. The formation of the fan also closely follows that of the plum, again with need for earlier pruning. Pruning the established bush must be done in summer, ideally immediately after fruiting, but in a more uncertain climate, early summer may be more suitable. Winter pruning encourages disease entry through pruning cuts. The removal of low, crowded or crossing branches and growths is essential to keep the tree open. 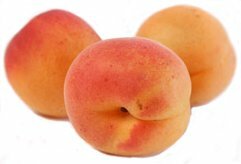 There is not the same need for replacement shoots as with peaches because apricots fruit both on two-year and older wood, also at the base of one-year old shoots. For fan-trained trees young growths should be pinched out at their tips when 7.5cm long (15cm if vigorous) with thumb and forefinger, subsequent side shoots to one leaf. Where space needs filling train in new, un-pinched growths as appropriate. Nutrition requires adjusting to suit tree performance. Under British conditions, where cropping will be erratic, little use of nitrogen may be necessary but in warmer climates regular applications of 33g/m² of sulphate of ammonia (nitro-chalk on more acid soils) are necessary to compensate for regular, heavy cropping. A split application, part in spring, part in autumn is sometimes favoured. Winter applications of potash are advisable at the same rate coupled with superphosphate every third year or so at 90g/m². Where heavy crops set, some fruit thinning will be essential. First thinning is when fruits are of large pea size, removing the smallest, but only after natural shedding of aborted fruits has occurred. Later, when fruits have grown to small walnut dimension and the stone has formed, they should be thinned to approximately 5-8cm spacing. Garden samples should ripen on the tree and will require very careful picking complete with stalk. Commercial crops need to be picked rather earlier and still slightly green to withstand handling and marketing. Gathered fruit will not keep for long but should be stored in cool, dark conditions prior to use. Propagation is normally by budding but success from seed is greater than with most tree fruits, particularly with some cultivars. Apricots may be attacked by polyphagous aphids, scale insects, especially the oyster shell scale (Quadraspidiotus ostreaeformis) and woolly vine scale (Pulvinaria vitis), caterpillars of the magpie moth (Abraxus grossulariata) and by the glasshouse red spider mite (Tetranychus urticae). Trees can be affected by several diseases which attack Prunus subspecies including bacterial canker (Pseudomonas morsprunorum), brown rot (Sclerotinia fructigena), leaf curl (Taphrina deformans) although this is uncommon in apricots, plum rust (Tranzschelia pruni-spinosae), and silver leaf (Chondrostereum purpureum).